As I write these lines, a key court case has begun in New York. That case centers on the US Census. At issue is the Trump administration’s addition of a question to the Census which will ask people whether they’re US Citizens. This seemingly innocuous question highlights a longstanding theme in US political life—the relationship between mathematics and political power. The purpose of the US Census is to count, “enumerate” is the exact word found in the constitution, the US population, and this should be done every ten years. Also, the relevant provision of the constitution, Article 1 Section 2, says nothing about a distinction between citizens and non-citizens. In fact, the only distinctions made are among free persons, Indians, and “three fifths of all other persons,” an obvious reference to slaves. The results of the Census serve a number or purposes, but I’ll just focus on one: apportionment. Apportionment is the process of allocating seats in the US House of Representatives to the 50 states. That is, each state gets assigned a specific number of seats in the House and is, therefore, entitled to send that number of congresspersons to Washington. The key, however, is that the number of seats a state gets depends on its population—the bigger a state’s population the more seats it gets and, therefore, the more congresspersons it gets to send. And this can affect outcomes as crucial as how much federal money the state receives or the number of electoral votes it gets in Presidential elections. So, states have a keen interest in having their populations correctly counted. And this is where the Trump administration’s addition of a citizenship question comes in. The key, however, is that the number of seats a state gets depends on its population—the bigger a state’s population the more seats it gets and, therefore, the more congresspersons it gets to send. A worry among demographers, as well as others, is that addition of such a question will discourage immigrants, including documented ones, from filling out the form. If this were to happen, it would result in undercounts in states, like New York and California, with large immigrant populations. And because of what I said about the relationship between the census and apportionment, these states might end up with fewer seats in the US House of Representatives. For those worried about the dilution of political power I just referred to, another area of mathematics could conceivably come to the rescue: statistics. Even though to many, statistics is a dreaded evil, it’s an extremely useful evil. It’s a discipline which has developed, among other things, several methods designed to deal with just the type of problem I’ve been discussing. This isn’t the place to go into the technicalities of these methods. Those interested in them can follow up. Suffice it to say that some of the methods in question rely on estimates of population using birth certificates, death certificates, and other vital records, while others draw upon various sampling techniques. The main point for this post, however, is that mathematical technicalities are often also matters of raw political power. The methods used by census statisticians to address undercounts, because of their implications for apportionment, could mean the difference between whether a state gets that federal transportation grant it wants or whether it’s decisive in electing a President. The use of statistical methods to adjust for enumeration errors in the census has for years been a major point of contention. Advocates of these methods have been worried that undercounts will result in less representation for certain groups, especially blacks and immigrants. Those who’ve opposed their use have focused on what they see as their unconstitutionality. That is, they’ve said the constitution requires us to count people not use statistical gimmicks to estimate them. Advocates of methods of adjustment have responded by arguing that opponents are using the constitutional argument as an excuse to disenfranchise members of “minority” groups, as well as others who reside in states many of these minority group members call home. As I’ve said, this debate has been going on for quite some time. Trump’s addition of a citizenship question is likely to intensify it. Featured image credit: Neon HD by Karolina Szczur. Public Domain via Unsplash. 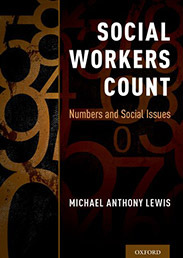 Michael Anthony Lewis, PhD, MSSW, is a social worker and sociologist on the faculty of the Silberman School of Social Work at Hunter College and the CUNY Graduate Center. He's also co-author of Economics for Social Workers, co-editor of The Ethics and Economics of the Basic Income Guarantee, and co-founder of United States Basic Income Guarantee, an organization of academics and activists interested in promoting discussion of Universal Basic Income.